The Government of Liberia announces with profound regrets the death of His Excellency Mr. Alexander H.N. Wallace, III, Liberia’s Ambassador Extraordinary and Plenipotentiary to the Arab Republic of Egypt, the Hashemite Kingdom of Jordan and the Republic of Syria. According to a Foreign Ministry release, this sad event occurred in Cairo, Egypt at 03:00 a.m., Sunday, July 30, 2017. August 8, would have been his 72nd birth anniversary. The late Ambassador Wallace, III, a career diplomat, before his latest appointment in 2011, served as Charge d’Affaires, a.i. at Liberia’s Embassy in Berlin, Germany with accreditation to Austria, Sweden, Denmark, Norway, Finland and the United Nations Organization in Vienna in 2010. Prior to that, the late Ambassador Wallace, III, served as Minister Plenipotentiary and Deputy Head of Mission at Liberia’s Embassy at the Court of Saint James in London, the United Kingdom with concurrent accreditation to the Republic of Ireland, the Vatican and the Order of Malta from 2008 to 2010. He also served as Minister Counselor and Deputy Head of Mission at Liberia’s Embassy in Washington, D. C., United States of America from 1992 to 2000. Before then, from 1999 to 2000, he served as Charge d’Affaires at the same Mission. 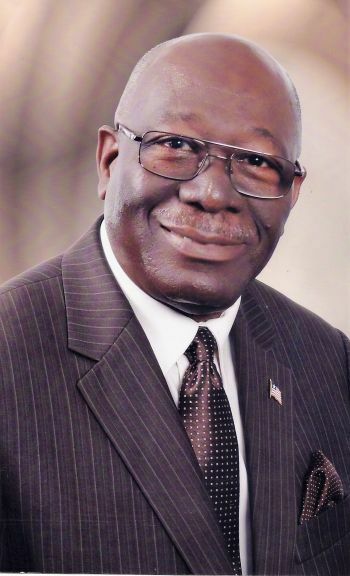 Earlier in his career, the late Ambassador Wallace, III, served as Second Secretary and Vice Consul at Liberia’s Embassy at the Court of Saint James from 1979 to 1982; and First Secretary and Consul at the same Embassy from 1982 to 1985. Before joining Liberia’s diplomatic service, the late Ambassador Wallace, III worked with the Liberia Timber and Plywood Corporation as personnel manager from 1977 to 1979; United States Trading Corporation as assistant credit manager from 1975 to 1977; and the Firestone Tire and Timber Company as office and credit manager from 1973 to 1975. Meanwhile, funeral arrangements will be announced later. Government Announces the Death of Mrs. Klaneh Wesley Bruce, Deputy Consul General at the Consulate of the Republic of Liberia in New York, the United States of America. Mrs. Klaneh Wesley Bruce, Deputy Consul General at the Consulate of the Republic of Liberia in New York, the United States of America.